Schoolmaster and pupils. 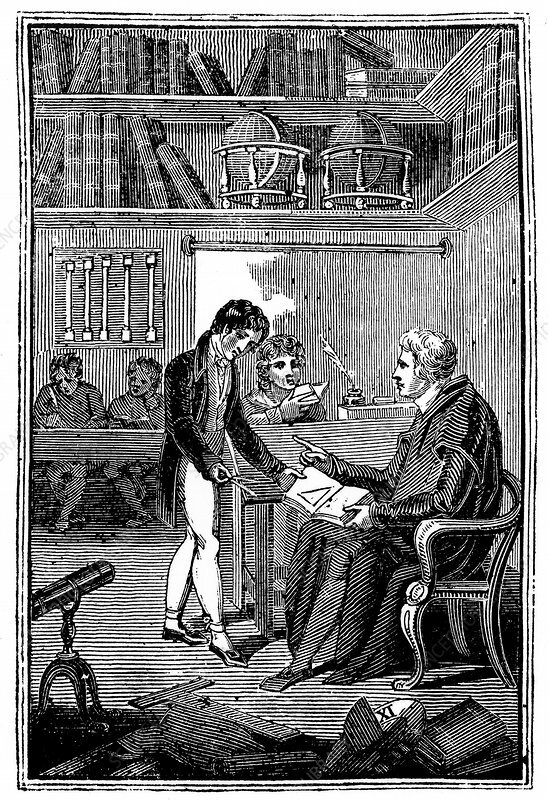 Frontispiece of George Fisher 'The Instructor or, Young Man's Best Companion' London, c.1820. Woodcut. Artist: George Fisher.